TravelCarma has years of experience and expertise in XML API Integration, having integrated over 85 XML API Suppliers on behalf of our clients worldwide, including all major GDSs, 130+ LCCs, Air Consolidators, Hotel and Activity Wholesalers, Car Rentals and Channel Managers. All you need is an API Contract with the supplier(s) of your choice and we can easily integrate their API into the system. This way you can aggregate content from multiple suppliers, add your own markups and sell them online through our booking engine. 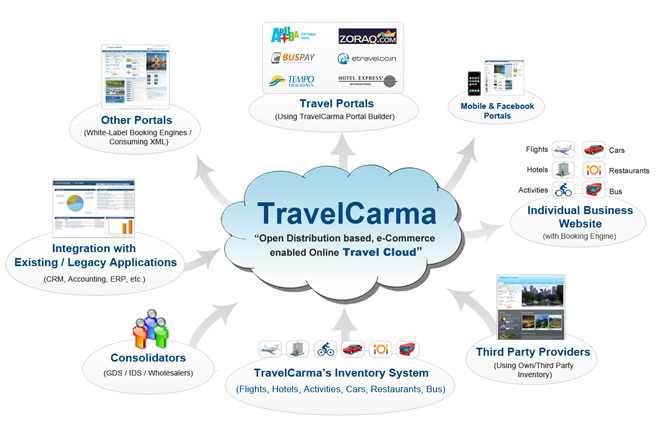 TravelCarma provides a unified XML API Interface wherein you can manage your entire third-party supplier inventory from a single window, rather than logging into multiple systems and shuffling through various screens to access live fares. This reduces your effort and helps you concentrate on selling more. To see how TravelCarma Solutions can help your business, please fill out this short form and one of our sales experts will get in touch with you as soon as possible. Please note that our solutions are suitable only for companies that have their own inventory, either in the form of XML APIs or Direct Contracts. So if you have inventory, we'd love to talk to you! However, if you are looking for a system with inventory, we advise you to look elsewhere. Please send me your newsletter and other relevant updates.